You must open yourself to India in order to really experience it. 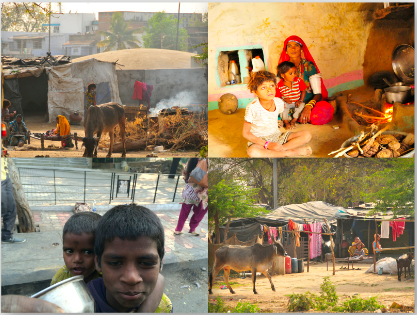 India presents a lot of barriers to a Westerner - poverty, disorderly infrastructure, crowds, garbage, and so on. But if you remove your barriers you can really feel it - its beauty, its history, its people, its diversity, its wealth, its culture, its poverty. If I must say only one thing about India it is that the people of India are beautiful and friendly - the friendliest I've ever met. 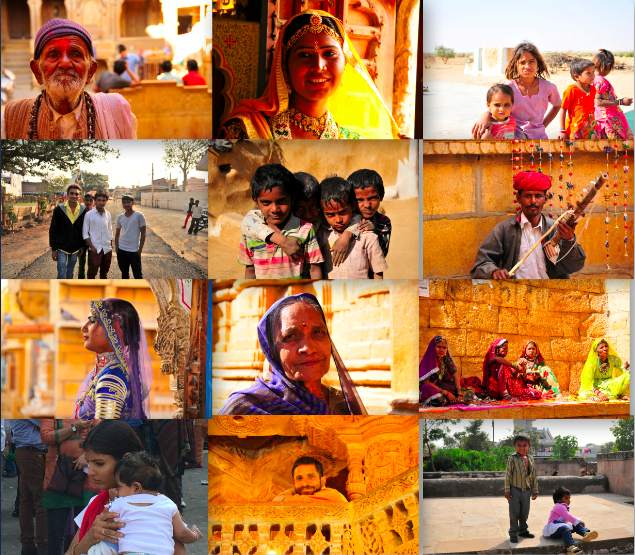 I've travelled to many places domestically and internationally and the people in India are the friendliest I've met. Rich or poor they were friendly, curious, and open. Walking down the street a 12 year-old girl grabbed my arm and said, 'Sit and talk with me. I want to know about you.' A person in Jaisalmer heard me mention that I wanted to ride a motorcycle around India. He handed me the keys to his motorcycle and said, 'Take mine'. I was welcomed to join a soccer match on the beach of Mumbai. I shared a thousand smiles. 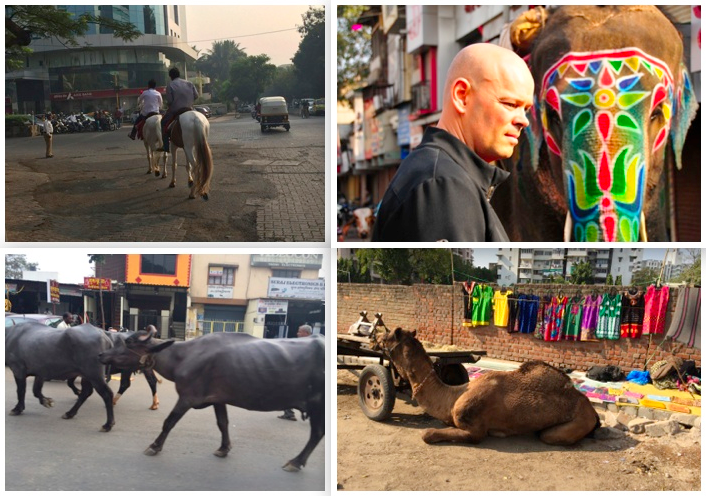 I almost walked in to an elephant as I rounded a corner in a densely populated neighborhood. Two horses galloped by me on a major road. A herd of free-roaming cattle strolled by me in the shopping district. A camel stood at an intersection along with all the cars, motorcycles, and trucks. In India wealth and poverty are neighbors. It isn't like America where neighborhoods are economically separated. Rolls Royces and Ferraris mix in the traffic with bicycles and rickshaws. I saw a woman bathing her child on the street from a water tank immediately outside the JW Marriott. One afternoon while standing in a street I felt a person tug at the back of my pants. I expected to see a child. It was a man with no legs sitting on a small piece of wood with four small wheels. His knuckles were were horribly calloused from pushing on the street to move. There is no safety net in India. There are few public services. India forced me confront my prosperity and their poverty. Why? I concluded, in humility, that I deserve nothing. Truly, my good fortune is largely luck. The luck of being in my time, in my county, born to my parents, my parents parents. India is alive. Everything is motion. And the people are interconnected. Families have lived in the same homes, same neighborhoods for generations. Families live together. They don't split up on marriage. The family cares for the family. I dined in the home a family who had lived in the home for 600 years - passing the home from generation to generation, with each generation caring for its older and younger. India isn't dominated by big box stores and stamped out franchises. Everyone is a business person, operating their small or large operation. And I liked it. It is vibrant. It is passionate. It is real. 1000 year-old city fortresses. Krishna temples. Ancient neighborhoods and mosques and step wells. 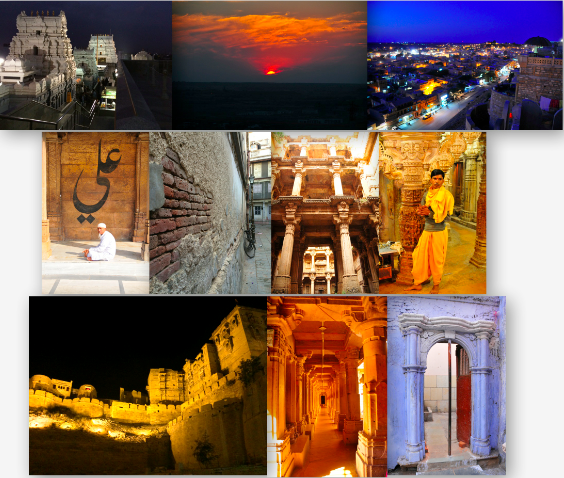 India is many cultures and many histories and many languages in one country. And each region has its own distinct food. I thought I'd return 10 lbs lighter. I think I gained 10. I didn't get sick. I followed the rules of only drinking bottled water and not eating from street vendors. Beyond that, I partook of all that was given me. And I'm glad I did. I'll remember my trip to India forever. You can't experience India without being changed in some meaningful way.